The Texas Supreme Court issued two significant rulings on June 12, 2015. In the case of Dacus, et al v. Annise Parker, et al., the Court reversed the judgment of the Court of Appeals of the Fourteenth Circuit, and held that the 2010 proposed amendment to the Houston City Charter, authorizing the imposition of maintenance fees directly on City residents to finance city street and drainage improvements, did not meet the common law standard “preserving the integrity of the ballot.” The information on the ballot did not inform the voters that they would be subject to these fees; it simply identified the proposed amendment without describing how the funds would be raised. Since 1884, the Court has required that such propositions be submitted with such definitions and certainly that the voters are not misled. Today’s ruling should provide more clarity and direction to the lower courts. The case has been returned to the district court. In the case of Harris County Flood Control District, et al. 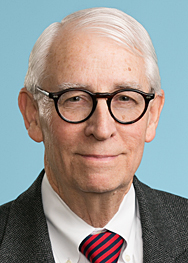 v. Kerr, et al., the Court affirms the ruling of the Court of Appeals for the First District that the plaintiffs, homeowners residing in the upper White Oak Bayou watershed, raised a “fact question” in their inverse condemnation lawsuit against the defendants. They complain that the Harris County and the flood control district approved new development in their area without mitigating resulting runoff and drainage issues, causing their homes to flood following major storms. The defendants filed a plea to the jurisdiction and a motion for summary judgment, arguing that no genuine issue of fact had been raised on the elements of the takings claim. Both the Court of Appeals and now the Court, in a 5 to 4 decision, disagreed. Repeated floods in the area spurred some flood control measures that proved to be inadequate and, by 1999, all of the plaintiffs’ homes had been identified by Federal Emergency Management Agency (FEMA) as being located in the 100 year floodplain. The matter will return to the trial court. Justice Willett, in dissent, stated that “I fear the Plaintiffs’ theory of takings, which the Court accepts, vastly and unnecessarily expands the liability of government entities”.